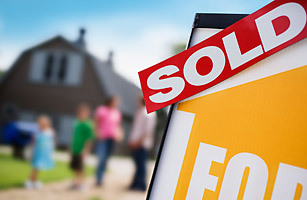 The stimulus bill offered an $8,000 tax credit for first-time home buyers. It was meant to make homes more affordable during the economic downturn, boost home sales and help turn around the sector that was at the heart of the financial crisis. The results have been mixed. Home sales did rise during much of 2009, but recently they began to fall again, plunging nearly 17% in December from a month earlier. Economists fear that many of the people who got the tax credit would have purchased a home anyway. They just rushed to do so because of the credit, which was initially scheduled to expire at the end of November. "If it turns out that all we did was get people to purchase houses early, only to see prices plunge again in 2010, then I think we will have to question whether this was a good thing to do," says Dean Baker, co-founder of the liberal think tank Center for Economic and Policy Research.